The new Dolphin SA1 hotel opened in Autumn 2014 and is set in the heart of Swansea City Centre. A boutique hotel that is the perfect place to discover Swansea and South Wales. 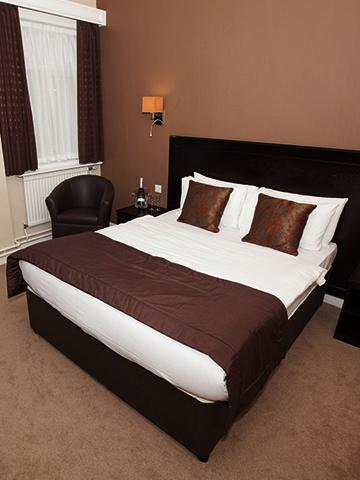 The Dolphin SA1 Hotel is perfectly located in the heart of the City centre of Swansea. Its superb location is walking distance of all shops, bars and restaurants. It is easily accessible, just minutes off junction 42 off the M4 and a short distance from many of Swansea's attractions, including Liberty Stadium, The National Waterfront Museum, SA1 Waterfront, Mumbles and the Gower. Each room is going to be finished to a high standard and we shall be providing our guests with quality, hand-made British furniture and bedding and a flat screen TV. All rooms have been decorated in a modern, boutique style with warm tones on the walls and every room has an en suite bathroom and free wifi.